polish insomniac: PSA: butter LONDON F&F Sale! Deal alert! 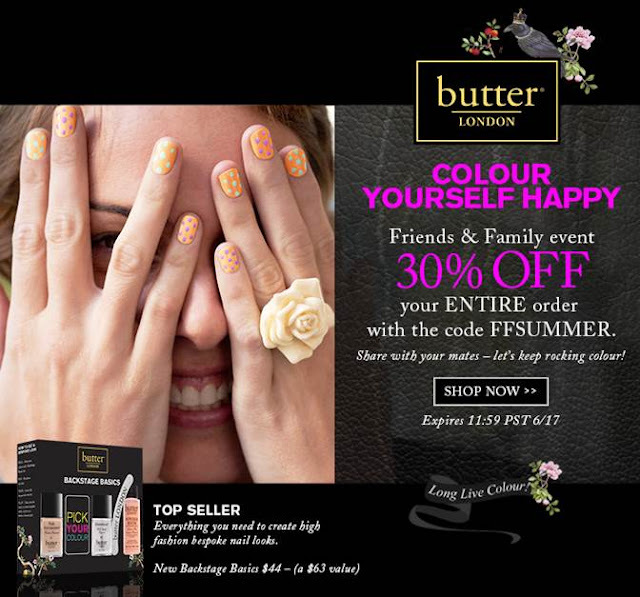 butter LONDON is having an awesome F&F sale right now! Time to stock up on all those colors you have been lemming! Like the three blue polishes I had on my Top 10 Polishes for Summer list!